Every year in Australia, many thousands of patients have their cataracts removed. Here are the five main decisions you need to make before proceeding with cataract surgery. Cataract surgery is the most frequently performed surgical procedure worldwide. During surgery, the eye’s clouded lens (the cataract) is removed and replaced with an artificial lens, which restores clear vision. Cataracts develop gradually over many years. Most people find that changing their glasses prescription is enough to manage their blurred vision in the initial stages. But as cataracts progress, they cause deteriorating vision and, in parts of the world where treatment is not accessible, blindness. It used to be that cataract surgery was only performed when the cataract had matured and was causing vision loss. These days, you can have a cataract removed in the early stages of development, when it is causing subtle changes to vision, such as loss of colour perception, glare and loss of contrast, but not necessarily severe sight loss. Although it’s never too late to have a cataract removed, it is better to have cataracts removed while they are immature, as this reduces the length of surgery and the recovery time. Earlier removal also means that you avoid the significant visual impairment associated with very mature (hypermature) cataracts. 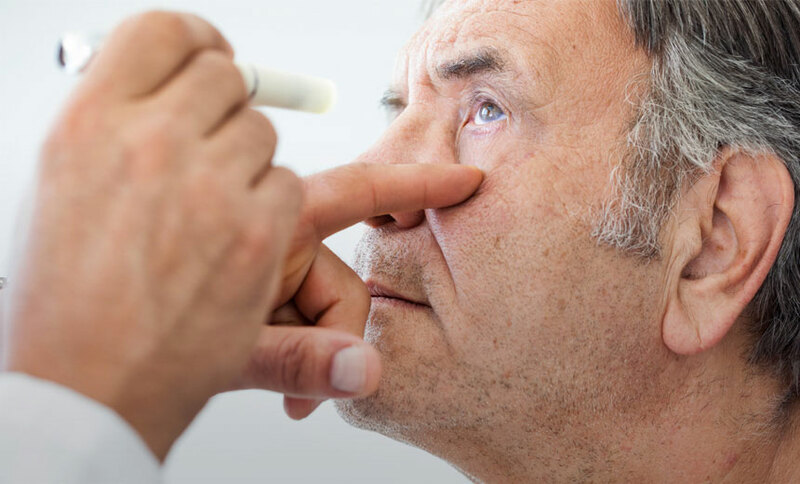 When deciding on the right time to have cataract surgery, you’ll also need to take into account the recovery process, making sure you can avoid certain tasks, such as strenuous activity and swimming, usually for the first month after surgery. There are two ways the initial steps in cataract surgery can be performed – either manually or with a laser. The vast majority of cataract surgeons perform manual cataract surgery, while only a few clinics with the latest laser technology are able to offer laser cataract surgery. This includes a number of Vision Eye Institute clinics. In fact, Vision Eye Institute surgeons were among the first in Australia to perform laser cataract surgery. Studies suggest there are some benefits associated with laser cataract surgery, such as consistent and precise surgical outcomes – but overall, both procedures have high success rates and low rates of complications. A surgeon that offers manual and laser cataract surgery will be able to discuss the advantages and disadvantages of each procedure specific to your situation, to help you decide which surgery to proceed with. When you have cataract surgery, you’ll also need to select a type of replacement lens (known as an intraocular lens or IOL). Lens selection is a really important process as it dictates what your vision will be like after the surgery. The right lens for you depends on your personal goals and preferences. If freedom from glasses is a priority, multifocal lenses may be the best option as they have a number of focal points to give clear distance and near vision. In some cases, patients opt to have monovision, where one replacement lens corrects distance vision and the other corrects near vision, allowing the patient to achieve spectacle independence for both distances. Modern replacement lenses can also correct pre-existing astigmatism, which can further optimise the visual outcome for the patient. These are known as toric IOLs. The important thing is that you have choice when it comes to your replacement lenses. Your surgeon will discuss your various options and help you select the lens that suits your eye health, lifestyle and preferences, to ensure you have the best possible visual outcome. Perhaps the most important decision to make is who will perform your cataract surgery. There are many factors to consider when choosing a cataract surgeon, so it can feel like a daunting task. The surgeon’s qualifications: are they specifically trained in cataract surgery and are they registered with the Royal Australian and New Zealand College of Ophthalmologists (RANZCO)? Some surgeons have completed subspecialist training in the front of the eye (known as anterior segment specialists) to enhance their cataract surgery skill set. The surgeon’s skill level: how many cataract surgeries have they performed and what is their success rate? Their skill level may also be reflected in their involvement in training and research in the field. For example, some surgeons are involved in teaching junior surgeons advanced cataract surgery techniques. What the surgeon can offer: do they perform manual and/or laser cataract surgery? Are they able to offer (and are they experienced with) a range of replacement lenses so that you get a treatment tailored to your needs and preferences? The cost of the surgery: this usually depends on the surgeon’s experience and available technology. Different replacement lenses also have varying costs, with premium lenses having a higher price tag. Fortunately, most Australian health funds cover a large part of the cost associated with cataract surgery. I’m always happy to discuss all of these questions with my patients during an initial consultation. Most surgeons have one or more day surgeries where they perform cataract surgery. Details of the day surgery is a factor to consider when choosing your surgeon. All Vision Eye Institute day surgeries are fully accredited against the National Safety and Quality in Health Services Standards (NSQHS), and are equipped with state-of-the-art equipment and technology. This ensures that safety and quality systems are in place that promote safe care, reducing the chance of complications during or after your surgery. You’ll also want to factor in how easy it will be to get to and from your surgery and pre-operative and post-operative consultations, and whether it’s important for you that the day surgery is located on-site with the clinic. It’s an important role of the surgeon to help you make these decisions before you proceed with cataract surgery, so that you are fully informed and comfortable with the timing and details of your procedure. Book a consultation today for a comprehensive assessment of your eyes and a detailed discussion about your cataract surgery options. Dr Alex Ioannidis is a comprehensive anterior segment surgeon, with extensive experience in the treatment of cataracts, corneal conditions and glaucoma. Dr Ioannidis practices at Vision Eye Institute Blackburn South, Vision Eye Institute Camberwell and Vision Eye Institute Coburg.